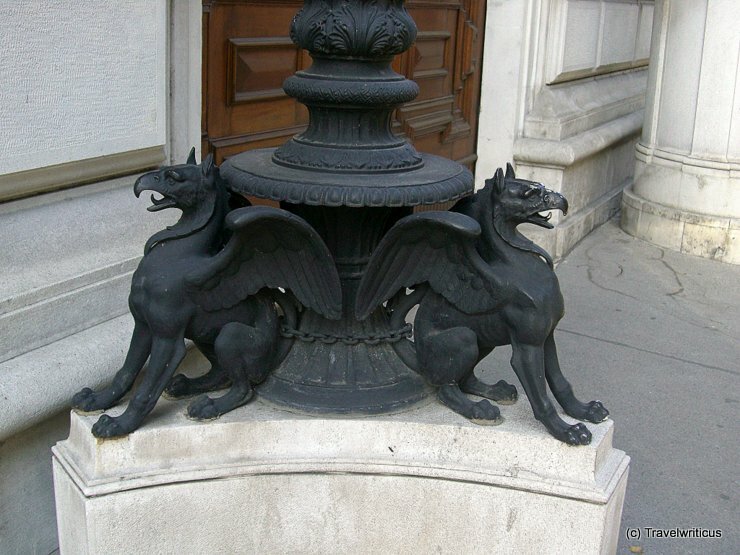 A pair of griffins seen at a bollard in the historicist Vienna Ring Road (Wiener Ringstraße). Though I don’t believe in fabulous creatures I always love to come across depictions of them on my urban walks. In Rostock, you can even see them on manhole covers. This entry was posted in Sculptures and tagged Austria, Vienna by Travelwriticus. Bookmark the permalink.